The Canuck Foodie – Creating and Eating food! One thing I do love and that is bread. The smell, texture and taste. It doesn’t matter how the bread is prepared and what ingredients are in it I love it. Well with one exception. I’m not a big fan of olives, so if there is a choice between two breads and one has olives, I’ll choose the other! 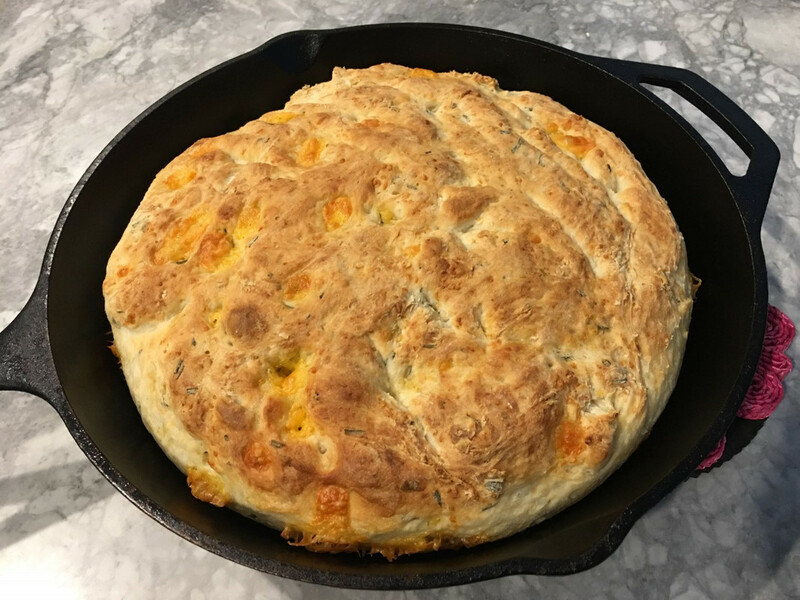 So when I came across a no knead skillet bread, I was intrigued. I’ve made several no knead breads in the past so this should be a fairly easy recipe to follow. This looks like a pizza of art and it certainly tasted like it. Using the cast iron skillet pre-heated on the grill certainly helped keep the crust nice and crispy and easily stood up to the crust bend test. Black pepper pasta. Had this when we were in Rome a few years back and happy to be making it at home at last! I do like peanut butter, so I would love this. A peanut butter cookie crust is topped with layers of creamy peanut butter and chocolate—elevating these dessert squares from a candy store favourite to an elegant delight.